Pop icon slams report that she wanted a $40,000 plot deposit back before her brother's funeral could take place. File photo: Janet Jackson at the amfAR Cinema Against AIDS benefit during the 65th Cannes film festival. The singer is demanding Vanity Fair retract certain claims made regarding the death of her brother Michael in the November 2012 issue of the magazine. As if Janet Jackson hadn't been embroiled in enough family drama this year. An attorney for the pop icon is demanding that Vanity Fair retract a story published online and in its November 2012 issue that claimed Michael Jackson's burial in 2009 was delayed because Janet demanded that the funeral not take place until her brother's estate had reimbursed her for the $40,000 burial-plot deposit she gave to the cemetery. "Untrue" and "outrageous," lawyer Blair G. Brown called the story in a letter to V.F. editor-in-chief Graydon Carter. Rather, Brown wrote, Janet paid for the funeral and Michael's estate reimbursed her for "some of those expenses" the following year. There were also private expenses that she never sought to be repaid for, Brown added. "This story is particularly hurtful and distressing because of Ms. Jackson's strong desire to serve her brother, whom she loved dearly," the attorney continued, "and her wish to stand with and support her family." Team Janet also took issue with the excerpts from the book "Untouchable: The Strange Life and Tragic Death of Michael Jackson" that Vanity Fair also published this month, noting that the burial-plot story sprang from the info in the so-called exposé. Calling the article "replete with additional false and defamatory statements" regarding Janet, Brown demands that the magazine publish a retraction and reach out to any media outlets that based reports on the V.F. article to inform them of the retraction. 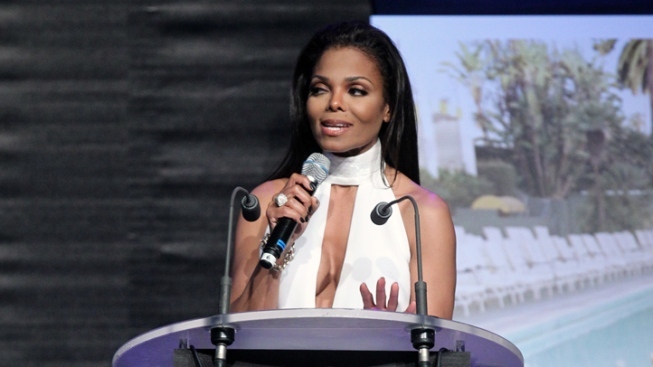 Huffington Post, the New York Daily News and London's Daily Mail were namechecked as a few of the sites that picked up the story, "exacerbating the damage to Ms. Jackson's reputation." Vanity Fair has not yet returned a request for comment. Michael Jackson was ultimately interred at Forest Lawn Memorial Park in Glendale, Calif., on Sept. 3, 2009--a little more than two months after his death.